Melissa is a Licensed Independent Social Worker - Supervisor (LISW-S) and a Licensed Independent Chemical Dependency Counselor (LICDC), in Ohio, with over 10 years of experience. She is trained to treat a wide range of mental health and substance abuse disorders. Melissa specializes in individual, family, marriage and couples counseling with an emphasis on mood/emotion regulation, anger management, and substance abuse. Melissa earned her Master’s degree in Social Work from The Ohio State University and Bachelor of Arts degree in Psychology from Michigan State University. Melissa has worked with several community mental health agencies in Ohio delivering mental health services in office and home-based settings. 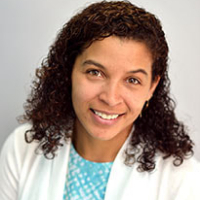 Melissa utilizes various treatment modalities and techniques such as Dialectical Behavioral Therapy, Trauma-Focused Cognitive Behavioral Therapy, and Motivational Interviewing. The focal point of each therapy session is building a collaborative therapeutic relationship to foster a supportive environment for the exploration and development of lasting change by starting where the client is currently. She focuses on the strengths of the individual client in order to assist the client with facilitating change and “create a life that is worth living.” Melissa prides herself on being able to work with a diverse population regardless of age, race, sexual orientation, gender, religious or spiritual and cultural backgrounds. Would you like to write a review for Melissa Edelmayer? We'd appreciate if you can spend a couple of minutes to write a short review for Melissa Edelmayer (LISW-S, LICDC). This review would be shared with Melissa Edelmayer. It may also be posted in our website or in Melissa Edelmayer's profile but it would be anonymous and your identity would be kept completely confidential.